Belgium has a population of 11.5 million and has three official languages: Dutch is mainly spoken in the North, French is mainly spoken in the South and German is spoken in the East Cantons. The capital Brussels is officially bilingual (French and Dutch). 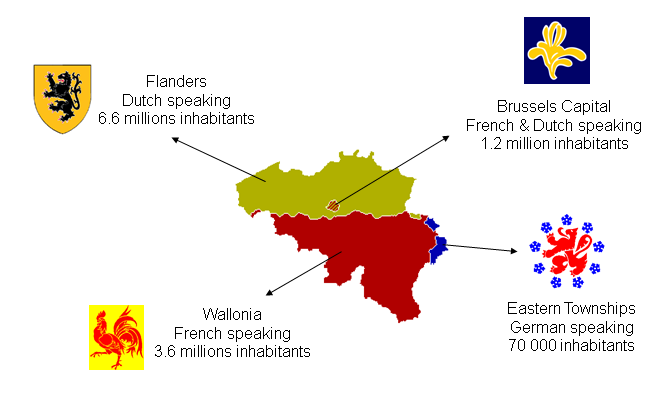 The Belgian political structure reflects this diversity; there is one federal state, 3 regions (economic affairs: Flemish, Walloon and Brussels Capital Region) and 3 communities (cultural affairs: Flemish, French and German community). The North is the most densely populated part of the country and has 6.6 million inhabitants.